Answering The Most Important Diet Question: What Is Ketosis? Everybody is raving about the new low-carb ketogenic diet. But what about the science behind it? Eating a ketogenic diet is one of the many ways you can trigger something called ketosis in your body. Ketosis is a little more complex than only eating eggs and bacon for breakfast or swapping out rice for cauliflower, but it's still a very interesting subject. And learning more about it can help you lose weight and feel great in no time. What Is Ketosis, and What Does it Do? Ketosis is when your body breaks down fat and uses it for energy instead of glucose. But transitioning your body from running on glucose to running on ketones can be a bit of a challenge. Most people experience withdrawal symptoms such as aches, pains, fatigue, brain fog, and more for a few days or sometimes several weeks depending on how addicted to sugar their body was before. But once the body finally realizes that glucose isn't available in abundance anymore and switches to ketones instead, living life on ketones becomes a fantastic experience. Better brain function. In the short-term, you will be mentally sharper and have more energy. In the long-term, it can help delay or even prevent age-related brain disease. Endurance athletes perform better. If you're into running marathons or extended low weight, high rep weight training sessions, ketosis gives you the fuel you need to go the distance. You'll build a leaner physique. Whether you're a professional bodybuilder or you just want to look good naked, ketosis melts away fat and helps you get lean. It's especially good at targeting belly fat which protects you from metabolic disease in the long run. Although it may seem frightening to learn, as recently as 10 or 15 years ago, an unfortunate majority of medical practitioners did not know the difference between ketosis and ketoacidosis. Many assume that these two completely separate conditions both fell into the latter. And once you know the specific details about ketoacidosis and what it is, it's a little scary that there was so much ignorance for so long. The full name for ketoacidosis is diabetic ketoacidosis. It is a dangerous and sometimes life-threatening condition that is most often associated with type 1 diabetes, although it can happen in type 2 diabetics, too. If your blood sugar gets too high, it can produce a poisonous level of acidic ketones which a healthy body would never be able to produce on its own. If you are a diabetic, especially a type 1 diabetic, definitely consult with your doctor before you try any type of diet - especially a low-carb, ketogenic diet. The reason that type 1 diabetics have to be careful with ketoacidosis is because of the way insulin production works differently in their bodies compared to a type 2 diabetic. With type 1 diabetes, the body is almost completely if not totally incapable of producing its own insulin. This is what allows blood sugars to raise so high as to induce ketoacidosis. It's different with type 2 diabetics because their bodies can still produce insulin; they just have so much insulin resistance that it's hard for the body to process that blood sugar and keep their blood sugar levels low. All that medical jargon may seem confusing, but it's important to understand the difference if you want to maintain good health. One of the simplest ways to get into ketosis is to start fasting. Noticed we said simple; not easy. Most people are so accustomed to following a standard American diet - that's four to six small meals a day with even potentially more snacks in between - that going without food for longer than 5 minutes seems like certain death. How to fast, how long to fast, and the foods/liquids you can and cannot have while fasting is a much more complicated subject than we can talk about here. But if you're interested in fasting at all, we suggest you look into it. If going without food for too long seems unsettling, you can enter ketosis through a low-carb, high-fat, moderate protein ketogenic diet. But you will have to consume fewer calories and/or exercise more to establish the calorie deficit necessary for weight loss. Believe it or not, creating a calorie deficit for yourself is really easy once you are in a full-blown ketosis. The hormones that make your stomach growl and send signals to your brain screaming "hey, I'm hungry! Feed me!" Don't get triggered when you are in ketosis. Your body snacks on its own fat instead until you are ready to eat on your own. This natural appetite suppression and hormone correction helps you go for longer in-between meals on less food. If counting calories is a struggle for you, then you may want to rely on ketosis to do it for you instead. 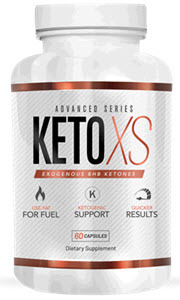 Lastly, you can use ketogenic diet supplements to help get your body into ketosis. Keep in mind that these supplements are much more effective if you are actually following a ketogenic diet to the letter. However, if you are new to keto, they can make a big difference. They can help your body transition into ketosis faster then it would if you only changed the foods you eat. It'll strengthen ketosis metabolism in your body more so than diet and exercise alone. You can even still cheat with the occasional carb here and there without feeling guilty or worrying that you are knocking yourself out of ketosis. Best of all, your transition into ketosis will be much easier because you'll hardly experience any of the dreaded "keto flu" glucose withdrawal symptoms - if you experience any at all! Getting your body into ketosis is one of the healthiest things you can do for your short-term health, longevity, and overall wellness. Learn more.